COMMENT: That was a week that was! Sixt rent a car is to open an on-airport location at Gatwick Airport on 1 January 2013. 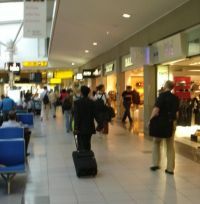 Gatwick offers direct access from the terminal to the car hire collection and drop-off points. Sixt says that avoiding a shuttle bus is a massive boon for time-pressed business travellers and holiday makers alike. The family-owned German company is already established at Heathrow and Stansted airports. Unions at Iberia on Monday called off a six-day strike planned for most of this week, despite their continuing disagreement with the management of the company over massive job cuts. Just opened in Kiev is a boutique hotel with a most unusual name, part of the individually owned Design group. 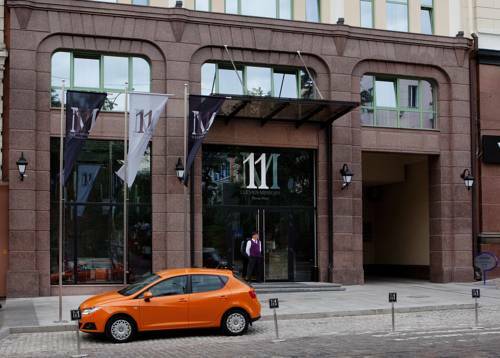 Called 11 Mirrors, it offers luxury accommodation with just 49 rooms and suites. The data specialist OAG, who publish the worldwide airline timetables, now mostly on-line, has come out with its December statistics, which make for fascinating study. OAG deals with the actual seat offerings for virtually every airline, whereas IATA covers the seats sold, and does not include many of the budget carriers. 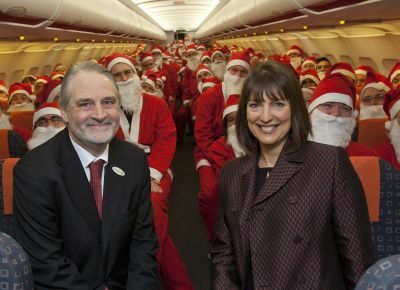 In November, 5.4m passengers passed through Heathrow, a record for the month and up 3.1% on November 2011. Part of the percentage increase was due to the late school half term, as well as disruption at that time. Heathrow’s load factor – how full the average flight was – also set a record for the month at 72.8%. According to a report in Saturday’s Financial Times Ryanair, in its seemingly desperate bid to acquire Aer Lingus, has agreed to sell the majority of the Irish national airline's slots at Heathrow to British Airways if the EU agrees its takeover bid. At the same time Britain's Court of Appeal has rejected an attempt by Ryanair to block regulators investigating the budget carrier's minority shareholding in the airline run by Michael O’Leary. Heathrow Airport has confirmed that the new Terminal 2 will be home to Star Alliance and Aer Lingus flights, as well as Virgin Atlantic’s domestic routes when it opens in 2014. The Virgin Atlantic placement is possibly not what the airline wanted (but did not return our enquiries). Terminal 3 and a seamless change to and from long haul seem more sensible. Aer Lingus is to be the wet lease partner of Virgin Atlantic (VS) when it introduces domestic services to Heathrow in the spring. There will be three round trip flights from Aberdeen, six from Edinburgh and three from Manchester. 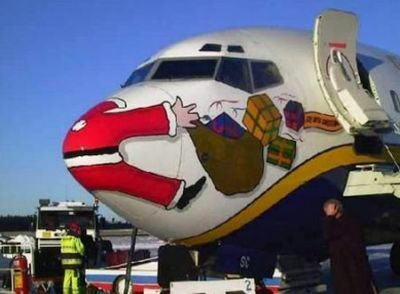 Normally the last couple of weeks of the year in the airline business are quiet as far as serious announcements are concerned. The 19th edition of what is now London’s only dedicated business travel show (and Travel Technology too), takes place at Earls Court 5-6 February. With direct access to Heathrow and the participation of 200 world-class suppliers and 6,000 of the industry’s elite buyers, it is well established. 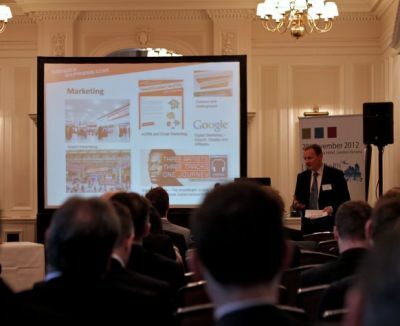 There is a high-class and detailed conference programme and unrivalled networking opportunities. 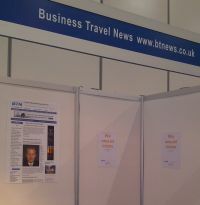 Business Travel News will have a booth at the show and the Editor and his staff would be delighted to meet readers. Leave your business card to participate in a draw and the lucky winner will gain two tickets on easyJet, a baggage allowance even to Moscow, plus of course allocated seating. Do pay a visit to Stand 471 on the right hand side as you come in, on the corner, opposite Priority Pass. Perhaps in a bid to upstage future oneworld partner airline Qatar, early last week British Airways revealed layouts for the Boeing and Airbus A380 fleets it is starting to receive during 2013. In a well publicised event several days later the Doha-based carrier unveiled the real Dreamliner at Heathrow T3, something special. Neither plan to include First Class, at least initially. British Airways will standardise 14 First Class seats in the A380, clearly not taking up the suggestion of Concorde Class, as a marketing ploy put forward by Business Travel News. It will be an upgraded version of the much praised current offering. All eight initial 787-8s will feature a Club World 2+3+2 layout, the latest generation World Traveller and World Traveller Plus seats. On the A380, surprisingly, with most other airlines confining Economy to the main (lower) deck, BA will offer World Traveller upstairs behind Club World and World Traveller Plus, accepted as the quietest section of the aircraft and bound to be very popular. Both new aircraft will also feature the airline’s latest Thales in-flight entertainment system, which offers customers 50% more movies, 200% more TV shows and also twice as many more audio programmes and music. Please click below to view the layout for the Airbus A380. In a joint statement with Delta airlines Sir Richard Branson confirmed that he plans to keep control of Virgin Atlantic (VS) following an announcement that the US airline Delta has purchased for US$360m the 49% of the carrier owned by Singapore Airlines (see BTN 10 December). In a dig at the IAG boss, Sir Richard said that Willie Walsh was misguided for saying the brand would be ditched. The massive new Dubai Al Maktoum Airport, which began cargo operations two years ago, expects to open its long-delayed passenger terminal by the end of 2013 it was announced during MEBA (Middle East Business Aviation show). Vernon Murphy has a foot in both the airport and rail camps having achieved senior management posts at Aberdeen, Gatwick and Heathrow airports before being appointed Managing Director of Scottish Airports in 1988 and later Chairman, Heathrow Express. He is BTN's expert in rail matters and was at the recent UK AirRail’s conference held at The Grosvenor Hotel, an integral part of London’s Victoria Station. This is his report. There is little doubt that modern day motorists have it very easy. 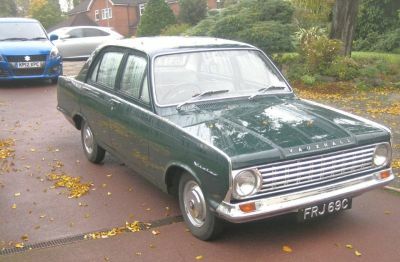 A brief encounter with a near immaculate example of a 1965 Vauxhall 101 Victor Super saloon kindly loaned by the Vauxhall Heritage collection at Luton, showed that life in those days was far less cosseted. Currently, re-nationalised, due to financial problems with the previous franchise holder National Express, East Coast is proving to be an innovative and first class operator out of King’s Cross to Edinburgh and points in-between. With the problems on the West Coast line the status quo is likely remain for some time. 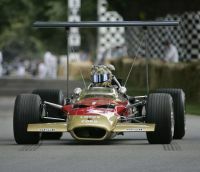 Following the recent unexpected change to the 2013 Formula 1 calendar, it has been necessary to change the published dates of the Goodwood Festival of Speed to avoid a clash with the revised German Grand Prix – and to ensure that the Festival can continue to host current F1 teams and drivers in 2013. Welcoming the holiday season, Gulf Air, the national carrier of the Kingdom of Bahrain, has created a special Christmas menu onboard its flights for passengers travelling between its hub Bahrain and Europe, possibly the first Middle East Airline to do so. Wine and other beverages are provided also. Users of the latest Apple’s new tablet, the iPad Mini, should be in for a fine time when on board aircraft suitably equipped. That is according to IFE Services, a company based in Knutsford, Cheshire (England) which claims to be one of the leading in-flight entertainment providers to the airline industry. Best Western has opened its first hotel in Jordan, the Best Western Grand Hotel Madaba. Madaba is an ancient city, 30km south of the Jordanian capital Amman and on the doorstep of the country’s most popular tourist sites. 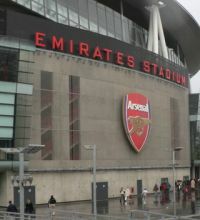 Soccer's Premier League has struck a deal with IMG, the media company, to provide comprehensive coverage on 24-hour sport channel, Sport 24 for the cruise and airline industry. 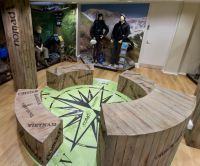 Nomad, a British company specialising in what it calls “air travel preparation” has opened a flagship store in Cheapside in the City of London. 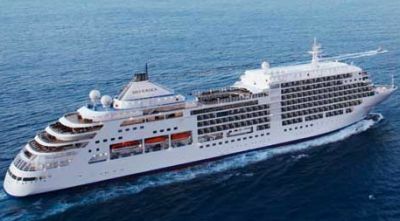 The shop is a partnership with leading luxury travel company, Abercrombie & Kent. 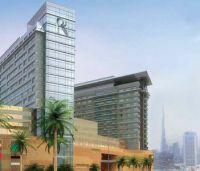 Situated in the heart of one of Dubai’s busiest tourism and commercial districts two new hotels opened just in time for MEBA (Middle East Business Aviation show), Al Ghurair Rayhaan and Al Ghurair Arjaan both run by hotel management company Rotana. The Abu Dhabi-based organisation already has 12 units in Dubai. Business Travel News for the most part does not report on purely promotional efforts and discount schemes. And we try to keep our stories to about 200 words. But with the holiday period upon us we have broken our own rules to publicise a Travelodge promotion releasing thousands of rooms at £21 at UK hotels during the festive season. With Travelodge you only pay for the room and not for the number of people in it. Each has a king size bed, sofa bed, en-suite facilities, flat screen TV with 18 digital channels, free tea / coffee making facilities and wi-fi. Travelodge hotels that have a Bar Café offer an ‘eat as much as you like’ breakfast buffet for £7.65 per guest and for each paying adult – two children under the age of 16 eat for free. Online discounts are available too. As they say why not make the most of this great deal and invest in some family bonding time over the break. For a family of four it works out at just £5.25 per person – cheaper than a cinema ticket.